We are one of the top manufacturer and exporter of Coral Gemstone in Jaipur( India). we manufacture Coral gemstones in any shape and size. This is one of our product i.e. 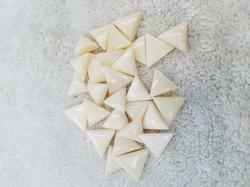 Coral oval and their making and colour is also very good, their price is also very low. We are dealing with Coral (Moonga) as per demand and requirement of buyers. 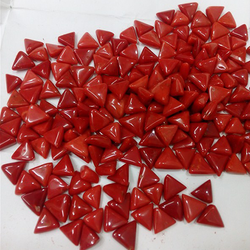 Offering a wide array of Red Coral Gemstone to our client’s at most affordable rates and these products are highly demanded amongst our customers due to their various uses in suitable applications such as gemstones in rings and also used to strengthen the positive influences of Mars. One can avail these products in bulk. Enhance your beauty by wearing this chakra pendant.